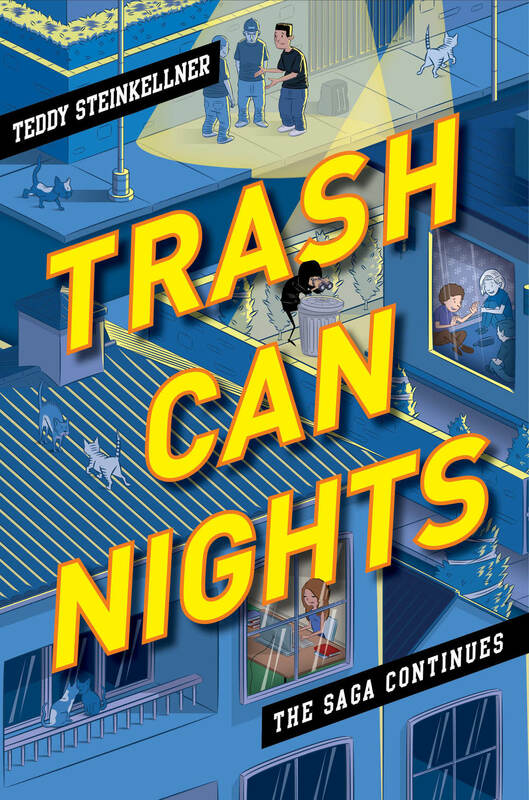 Trash Can Nights COVER REVEAL!!!!! A GOOD OLE FASHIONED COVER REVEALIN' HOOTENNANY CELEBRATION!!!! Below, feast your eyes upon the otherworldly cover to my second book, the sequel to Trash Can Days: A Middle School Saga, a book that is entitled, appropriately enough, Trash Can Nights: The Saga Continues.... Then, once you're done doing that (should only take a few hours), keep on reading for a synopsis of the book as well as my thoughts on the cover. Yeah! Come on. Isn't that the purtiest thing you ever done saw? 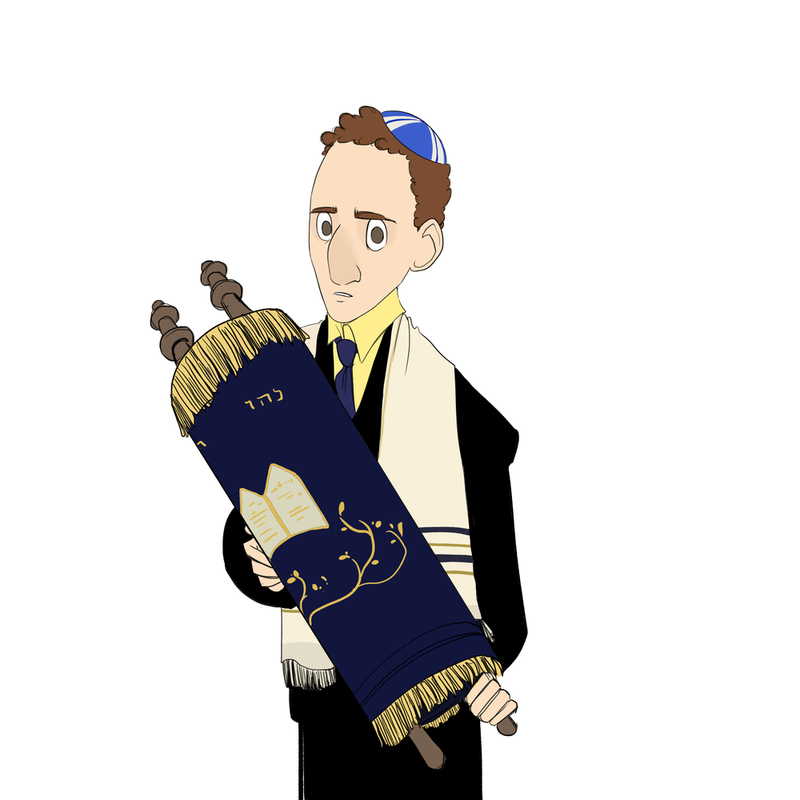 Thank you times infinity to phantasmagoric illustrator Michael Weldon (who also happens to be Australian -- onya, Weldy!) for designing such a dynamite cover, just as he did for Trash Can Days. Intrigued? I know you're intrigued. Come on, be intrigued, everybody. I worked really hard to make this an excellent sequel. 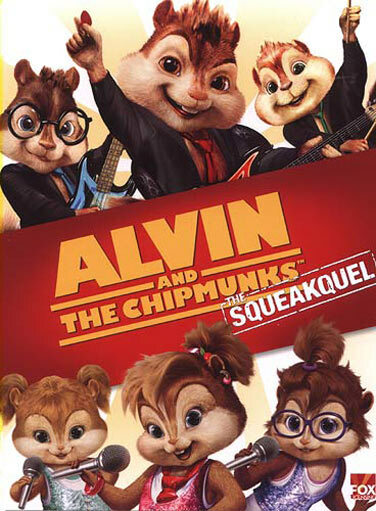 I hope it's at least ten percent as good as The Squeakquel. Also, a ridiculous thanks goes out to my editor on this book, Tracey Keevan at Disney, for writing that dynamite synopsis, and just for being a phenomenal editor in general. I am a lucky lad indeed. 1. I love the way it's nighttime on the cover. I guess that's pretty obvious with a title like Trash Can Nights, but still. I'm super-into the way the dark blues of the cover contrast with the yellows and oranges of the street lamps and the title. The overall effect is this incredibly noir-y vibe that I hope my book somehow lives up to. 3. I love Dorothy's eyeballs in the binoculars. 5. I love the baggy jeans and hard expressions on Danny's gangster friends at the top of the image. I also love the strategically placed backpack. Hmm... what's inside...? 6. I love the toilet paper on all of the trees. It's there for a reason, but I can't tell you why! 7. I love the architecture of the houses! Please do not think I'm overreaching with this one -- that is literally exactly what houses in Santa Barbara look like. I feel like I'm looking at the exact neighborhood I went trick-or-treating in throughout elementary school. It's awesome. 8. I love Hannah up to no good, on her computer. Also not gonna spoil anything about that. 9. I love the cats. 10. I love the fighting cats on the roof, the lover cats on the balcony, and the random cats being random. 11. I love the fact that there are so many cats. 12. Hey, why are there so many cats? 13. Seriously, Teddy, what's the deal with all of the cats? 14. WHY THE %%#$!^% ARE THERE SO MANY @&^%#!$&!ING CATS?!?!?!?!?!?!??!?!?!?!?!?? ?